This is how 'California' came together. 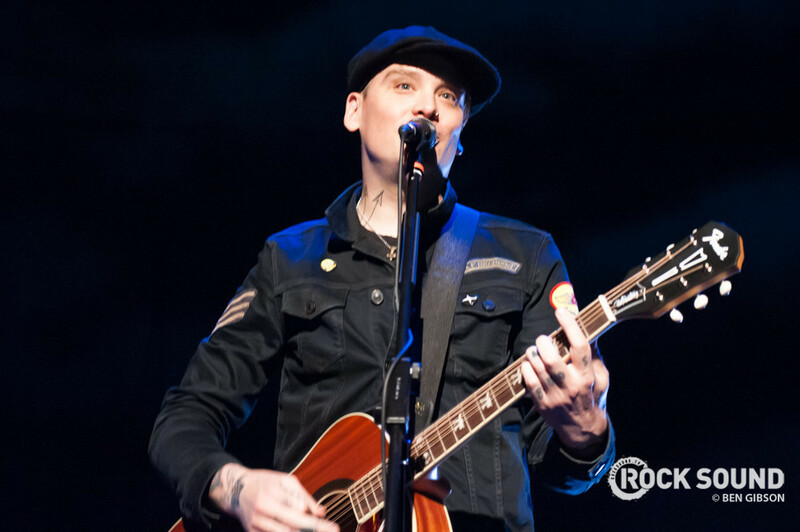 Blink-182's Matt Skiba has reflected on the initial writing process for 'California'. "I would bring a song into the studio, we'd work on it, or I would send a very crude demo to Mark and Travis and then go in the next day and kind of learn it, and everybody bring their own thing to it. "We were doing this for several months. The songs were good. It was cool but it didn't sound like Blink. The songs I was bringing in sounded like [Alkaline Trio]." In order to get into the mindset of writing for Blink-182, he explains that he had to think, "What made this band so popular? What made these songs so great and these records so good?" "I tried to write from a different perspective, which I think I accomplished to an extent. Mark and Travis both had ideas and we were jamming for several months and it was starting to take shape. It was at that point that they decided to start working with producer John Feldmann, to create the best record they possibly could. "It has to be something special, powerful and something the fans are going to absolutely love and we just weren't really getting that. We were talking about different producers to work with and John Feldmann was one of them. He was the first guy we went into work with and the first song we wrote together was the first single off of 'California,' 'Bored to Death.'" Watch the video for 'Bored To Death' below. "So there was something really magical that happened and things just really clicked. At that moment it really felt like, 'OK, here is the guy we need to do this record with' and we all really started to feel it gel that this is the new Blink, and this is what it's supposed to be and this what hopefully the fans are going to love. "Luckily they did up ultimately loving it. It turned out pretty well." 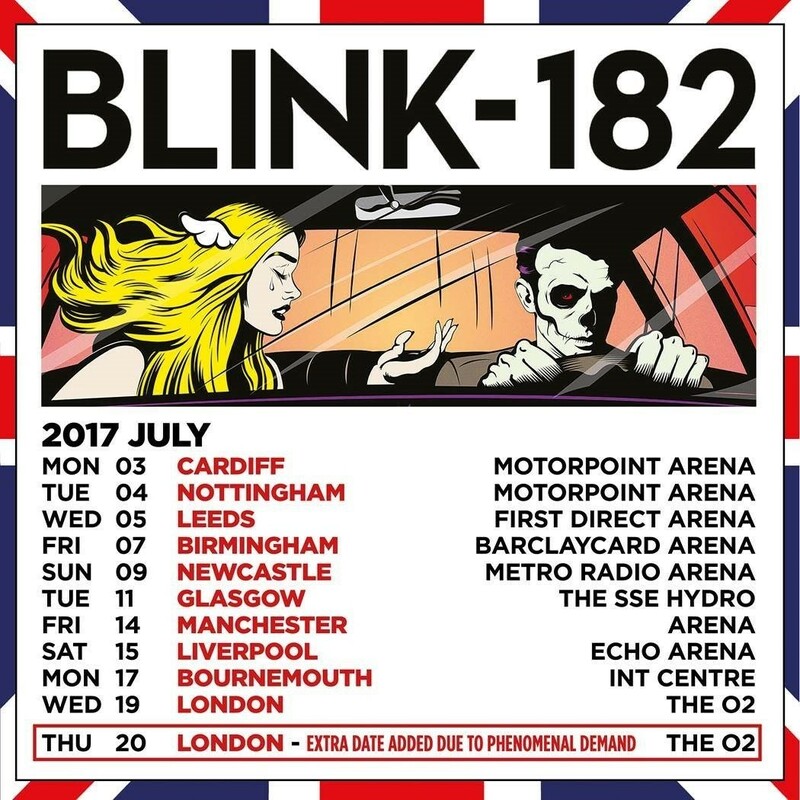 The deluxe edition of Blink-182's 'California' is released this Friday, May 19 and the band return to the UK this summer.